On top of the many “Journey to The Last Jedi” content we will be getting this year, there are a few more companion books to look for this fall. This information comes from the Star Wars profile on Amazon.com and Jedi-Bibliothek. A little preview: one might feature a first order version of a Tie Bomber that will later be shown in The Last Jedi! Jedi-Bibliothek makes a connection that the “Replica:TBD” book is actually called “Star Wars: The Last Jedi: Bomber Command.” They theorize that this book will be the one to show us how The FO TIE Bomber will look in Episode VIII. I don’t doubt we will see this type of ship. 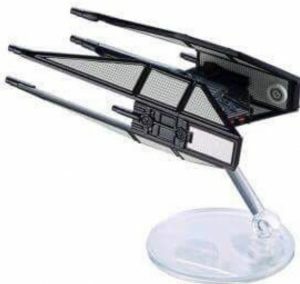 We have already seen what is essentially a TIE Advanced piloted by Kylo Ren (see below). I wonder if we will get a glimpse of this type of ship sooner than the release of this book. Perhaps we’ll see it in a future trailer? Seeing that and Kylo’s fighter in action will surely be a sight to see! Thoughts on the books and possible new ships coming along? Let us know in the comments below!